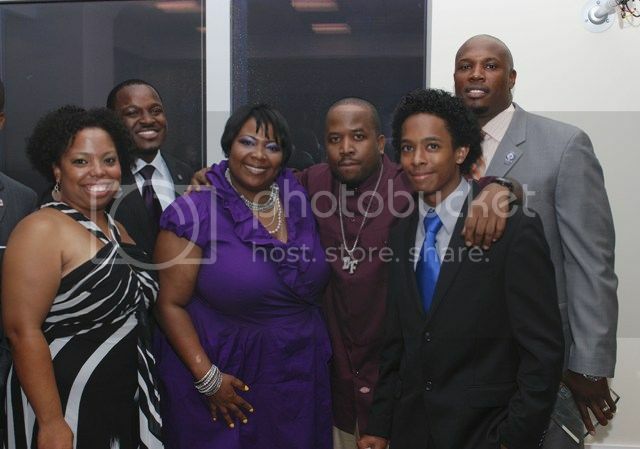 AULYP 2010 Community Service Chair, Ciji Tatum; AULYP 2010 President Kendra Shipmon; AULYP 2010 Founders Scholarship Recipient Elijah Watkins; AULYP Co-Founder Kyla Tilton Cox; AULYP 2010 Vice President Travis Townsend, Esq. 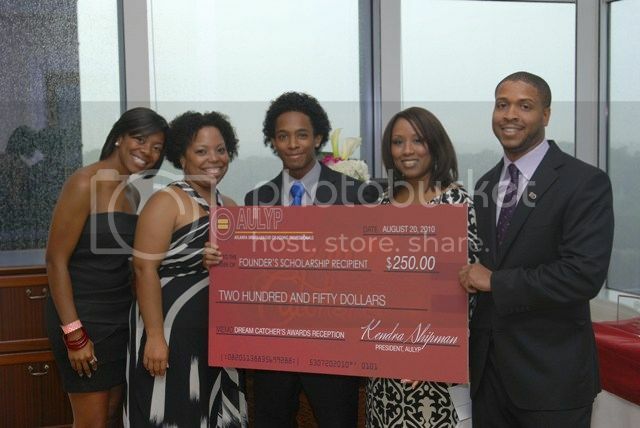 On Friday, August 20, 2010, Atlanta Urban League Young Professionals presented recent high school graduates with four of their 2010 Founders Scholarships at their Annual Dream Catchers Awards Reception held at Nelson Mullins Law Firm in Atlanta. The scholarships, which were presented at the start of a new college semester, were given to recent high school graduates who held good academic records and demonstrated service in their community. AULYP also honored young leaders and organizations in metro Atlanta who demonstrated excellence in serving and empowering their community. 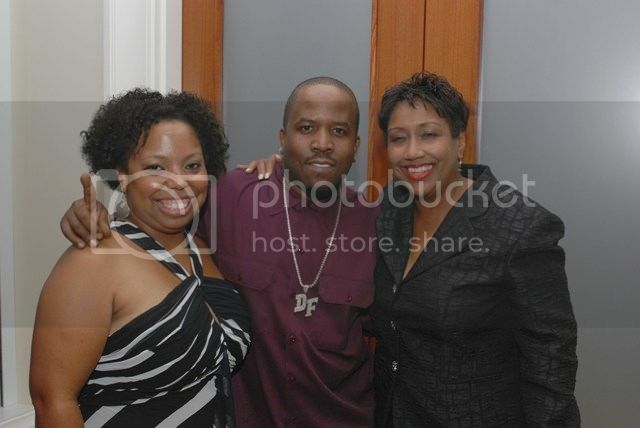 This year Antwan ‘Big Boi’ Patton accepted AULYP’s Dream Catchers 2010 Empowerment Award on behalf of his Big Kidz Foundation, along with Jennifer Lester, the organization’s Executive Director. C.J. Stewart, founder of L.E.A.D. Inc. and former Chicago Cubs outfielder, accepted AULYP’s Community Leader Award; Howard Franklin, manager of Jason Carter’s successful bid for Georgia State Senate and founder and CEO of Influence Factory, accepted AULYP’s Community Advocate Award and State Farm Insurance received the Community Service Award accepted by Myles C. Mitchom on behalf of the company. The award recipients were chosen based on their contributions in areas relevant to AULYP’s empowerment initiatives that include education, economic, health and quality of life, and civic engagement and leadership. 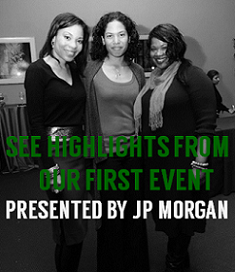 Proceeds from the event will primarily benefit the Founders Scholarship Program and other initiatives. 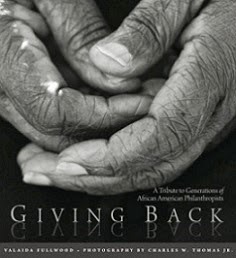 For more information on the work of the Atlanta Urban League Young Professionals, visit http://www.aulyp.com/. Photo credit: Al Bouknight, Visual Artisans Inc.